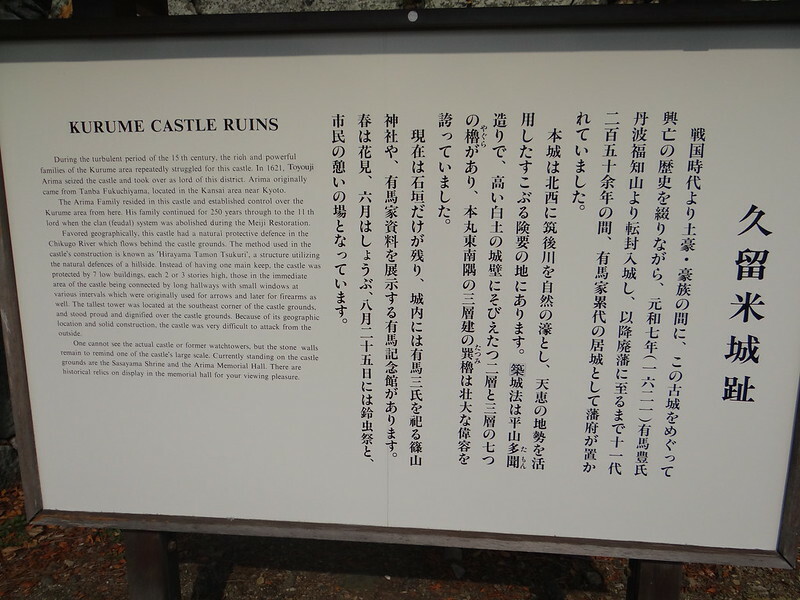 During the turbulent period of the 15th century, the rioh and powerful families of the Kurume area repeatedly struggled for this castle. 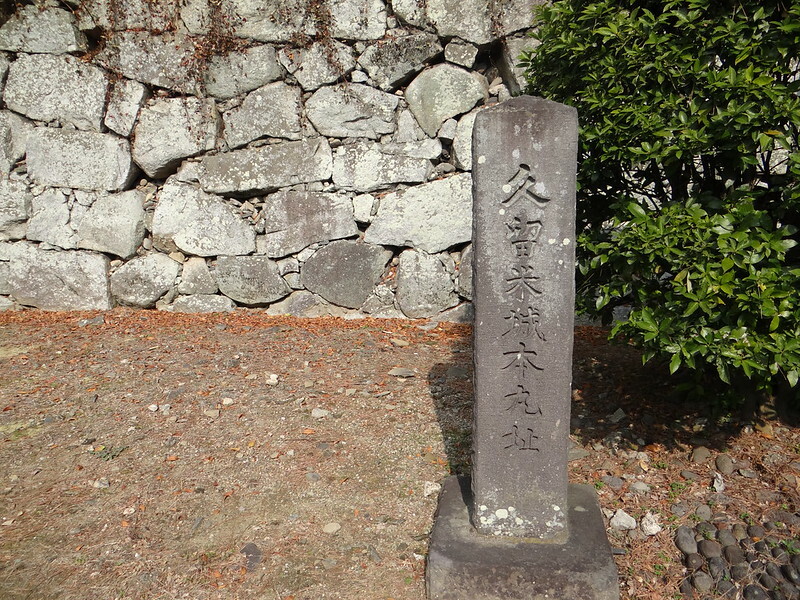 In 1621, Toyouji Arima seized the castle and took over as lord of this district. 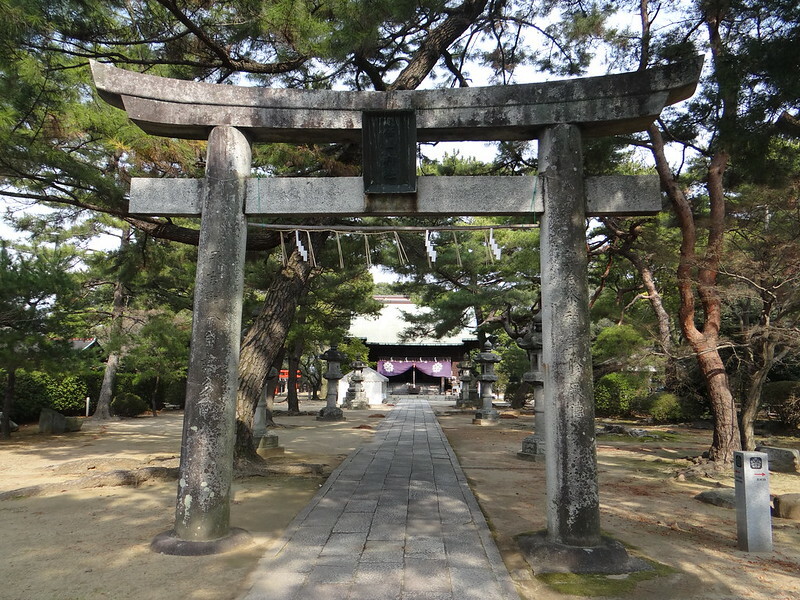 Arima originally came from Tanba Fukuchiyama, located in the Kansai area near Kyoto. 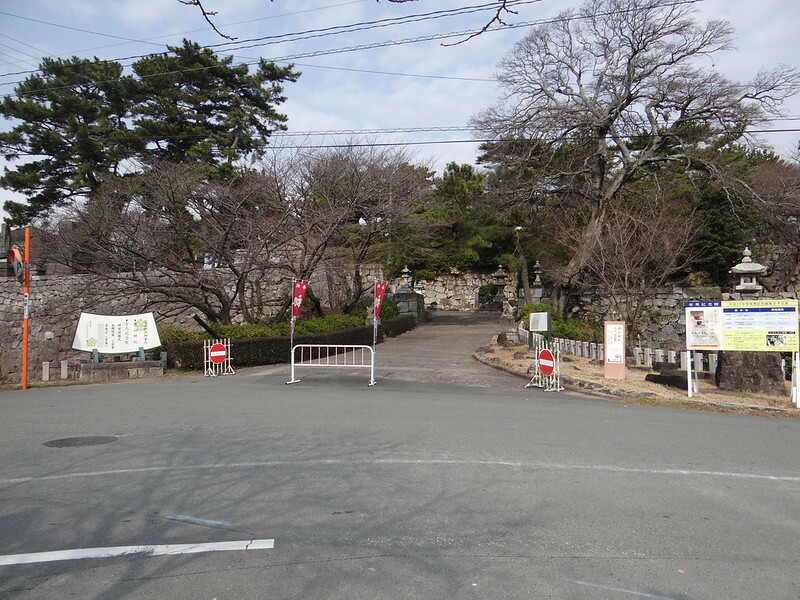 The Arima Family resided in this castle and established control over the Kurume area from here. 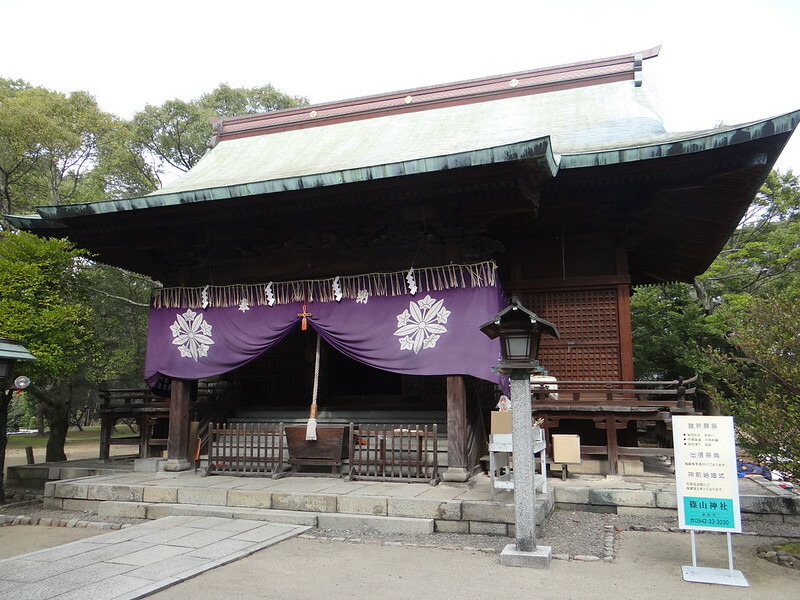 His family continued for 250 years through to the 11th lord when the clan (feudal) system was abolished during the Meiji Restoration. 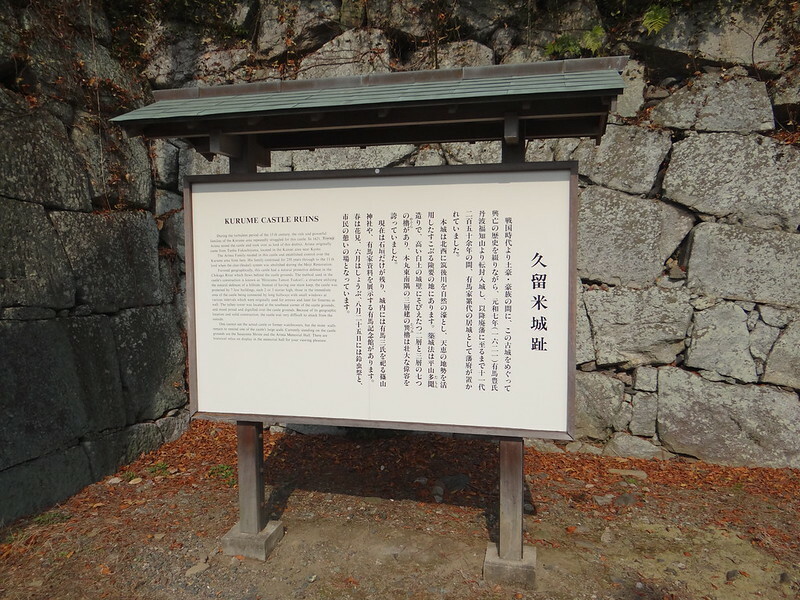 Favored geographically, this castle had a natural protective defence in the Chikugo River which flows behind the castle grounds. 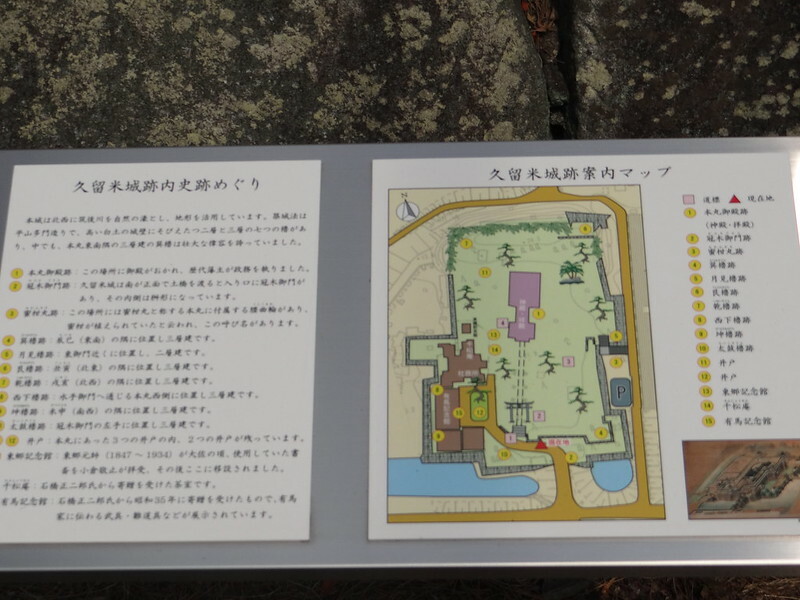 The method used in the castle's construction is known as 'Hirayama Tamon Tsukuri', a structure utilizing the natural defences of a hillside. Instead of having one main keep, the castle was protected by 7 low buildings, each 2 or 3 stories high, those in the immediate area of the castle being connected by long hallways with small windows at various intervals which were originally used for arrows and later for firearms as well. The tallest tower was located at the southeast corner of the castle grounds, and stood proud and dignified over the castle grounds. Because of its geographic location and solid construction, the castle was very dillicult to attack from the outside. One cannot see the actual castle or former watchtowers, but the stone walls remain to remind one of the castle's large scale. 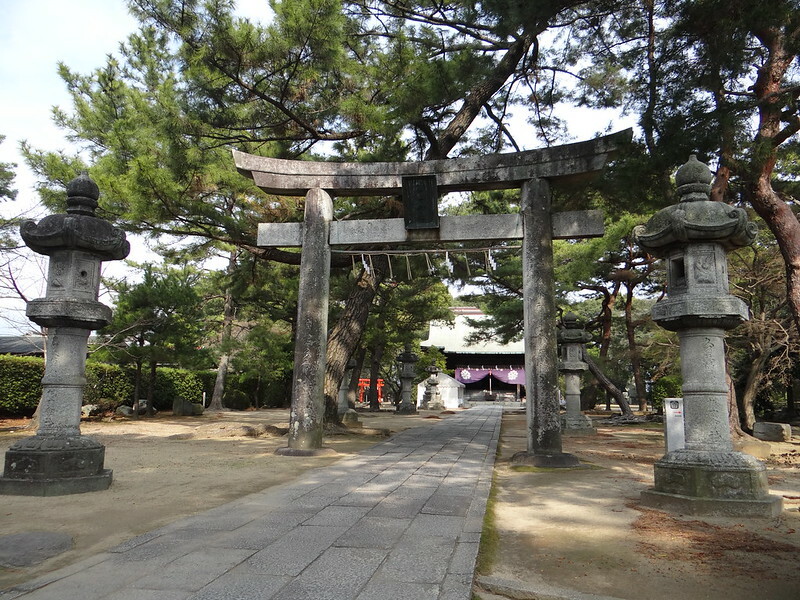 Currently standing on the castle grounds are the Sasayama Shrine and the Arima Memorial Hall. There are historical relics on display in the memorial hall for your viewing pleasure.